Stephanie, her hubby, and their two cats enjoy living and traveling full-time in their RV, often camping off-grid to stretch their budget. After retirement, my husband and I decided to make a drastic move. We sold our house, downsized our belongings and became full time RVers. Our plan of full-timing for one year evolved as we came to love the lifestyle, and ultimately, we lived in our RV for four years before buying a house to use as our home base. Today, eleven years later, we still spend at least eight months each year in our RV traveling the U.S.
Pare down a lifetime of accumulation so that it will fit into a smaller space. 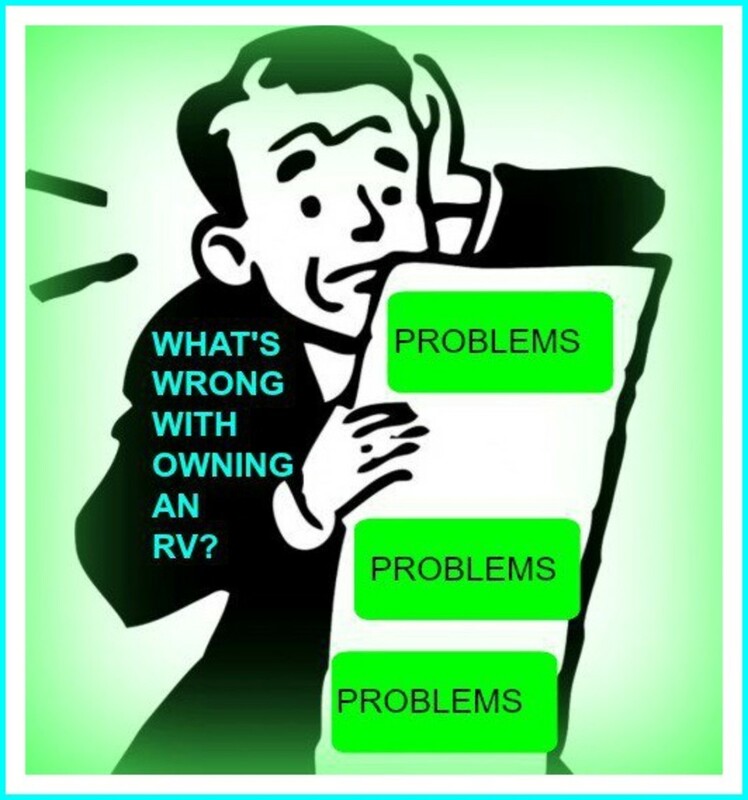 Once you have made the decision to be a full time RVer, you are faced with the major project of downsizing from your "sticks and bricks" home to an RV. Even if you live in a modest, three bedroom, 1500 square foot home, downsizing to an RV might be overwhelming. In our case, we have a 33' motor home which gives us about 240 square feet of living space with additional storage space in the "basement" compartments. The tips I've given here will be useful if you are downsizing from a house to an RV or from a house to much smaller living quarters. You will still need to make careful selections of what to keep, what to store and what to toss. Break down the process into manageable chunks. Organization is the key ingredient to keeping your sanity during this process. Break down the process into manageable chunks to make it less overwhelming. Here are some useful tips on how to start organizing for the move and how to downsize your belongings. Rather than tackle your house as a whole, think of major groups of belongings that you will need to downsize. As you make your decisions, keep in mind the space you will have available in your RV storage compartments. Each group of belongings contains subgroups: necessities to be packed into your RV, items that would be nice to have if there is room and items that you just will not need . . . ever! Don't keep things you will never use again. This can seem like an overwhelming task, but unless you will be working a job that requires dressy clothes, you can probably pare down your wardrobe drastically. I suggest that you make four piles of clothes starting with the stack that you will take with you. Basic casual clothes will be the most useful, but in limited quantities. Don't pack ten pairs of jeans or dozens of t-shirts when three or four will do! one dressy outfit each with appropriate shoes. Individual needs vary with lifestyle, but generally, RVer's life styles are much more casual than their previous lives. Clothing should be pared down accordingly. Take the necessities, but consider your space available when choosing them. After our first year of RVing, we gave away or donated most of our dress clothes, as we never wore them. Plan to dress in layers - you can make do with a fleece jacket or windbreaker layered over a sweatshirt or sweater rather than bulky winter coats. Shoes take up a lot of space and can be a problem to store, so limit yourself to necessities that fit into your storage space. This should be your largest pile of clothes! You may be reluctant to part with expensive business and dress clothes, but consider your new lifestyle and be realistic. Unless you know that you'll need them for specific occasions, you probably won't need business suits, very dressy clothes, dress shoes, winter boots or a large selection of purses. If you plan to follow the sun in your RV, you can also get rid of heavy sweaters, winter coats, winter boots and other winter items. Keep one coat, scarf, hat and gloves for possible winter visits to friends or relatives! Let's face it, we all have our old favorite torn jeans, threadbare t-shirts and underwear with sprung elastic. Again, be realistic! If you haven't worn it and haven't fixed it, you don't need it! Anything that is worn, torn or stained. Toss clothes with holes, missing buttons, sprung elastic and broken zippers that you were planning to fix but didn't. You know what I'm talking about, people! Toss out clothes that are not suitable for sale or donation. My best advice is "Don't store clothes." From personal experience, I can tell you that storing clothes is a waste of storage space. Clothes go out of style, they may no longer fit, and your lifestyle changes so that they are no longer appropriate. Clothes in storage may get damp or insect damaged. We stored tubs of clothes "just in case" for four years. At the end of that time, most of them went to charity thrift shops or the trash. Very, very little was ever used again. Sentimental items like a wedding dress or your high school letter sweater. If you have a pile of clothes you think you want to store, take another look. Bite the bullet and pare the pile down to a minimum. Other: aluminum foil, plastic wrap, zip lock baggies in a couple of sizes. Linens and bedding: pillows, two sets of bed linens, bedspread or comforter, towels, wash cloths, blankets, a couple of afghans. Moving into smaller quarters, you will probably have drastically less kitchen storage than you were accustomed to in your house. Our RV has very limited kitchen storage, but we find that it is sufficient if we choose wisely. First, choose the basic kitchen items that you must have. Choices will be ruled by available space. You may be surprised what you can do without. You are bound to come across a few sentimental items that you can't take with you, but can't part with, either. Before you put things in storage, why not check with your kids or relatives to see if they would like Grandmother's punch bowl or your Mom's silver serving platter? Wouldn't it be better if someone were enjoying these family heirlooms than if they were stuck in a dark storage bin somewhere? The things you choose to store are a personal decision. I chose to store my favorite set of good china and crystal as well as extra stainless steel silverware that wouldn't fit in the RV. I also stored a lot of things like extra pots, dishes, etc., small appliances. Except for sentimental things and good china and crystal, most of what I put in storage was never needed again. After downsizing and living a simpler lifestyle, I realized that I did not want or need all that "stuff!" Now, Make It All Fit in the RV! Pet records - Keep health records for pets as well as proof of rabies vaccination for cats and dogs as you will need to show these at some campgrounds or if you cross the border into Canada or Mexico with your pets. Insurance policies- original paper policy. Identification - Keep originals, but also make copies of driver's license, social security card, credit cards in case of loss. These can be kept electronically on a flash drive in case your computer is lost or stolen. I also use an app called "Genius Scan" to snap a picture of id cards, pet records, license plates and insurance cards and keep them on my iPhone for easy access when I need to reference them. Oh, the paper clutter we collect! When we have plenty of closets and drawers to store all of our miscellaneous accumulation, it's easy to ignore the need to de-clutter and downsize. But now, the moment of truth! You are moving into an RV where you will have very limited space, so you need to select and plan carefully. Once you've completed the time consuming, but necessary task of going through the stacks of papers on your desk and bookcases, you can begin to think about what you really need to take with you. You can keep the actual papers, or, like some efficient RVers, scan in your receipts, tax returns and other documents to keep electronically. If you do this, be sure to have backup copies of everything in a safe place. You might consider purchasing storage space on a "cloud" service that would allow you to access your documents from anywhere. A note about tax records: There is an IRS website that recommends how long to keep your tax records. In most cases, three to four years is all you need, but in some cases, you might need to keep records for seven years. My recommendation is to carry one year of back tax records with you in your RV. Read the publication and put remaining records in storage. See the box at right for additional records and important documents you should carry with you. You will want to take your computer, printer/scanner, cables and electronic devices, cameras and all the cables and chargers that go with these devices. I found that the easiest way to organize cables and chargers was to put each in a zip lock bag marked with its purpose and the device it belongs to. As smart phones, iPads and tablets become part of our everyday lives, you should be able to cut down on the number of different devices you need. Reserve a space for office items like a stapler, notepads, paper clips, pens, pencils, erasers, tape and whatever other items you like in your home office. Get rid of the hundreds of extra pens, pencils and things that you never use! Keep electronic copies of your photos. 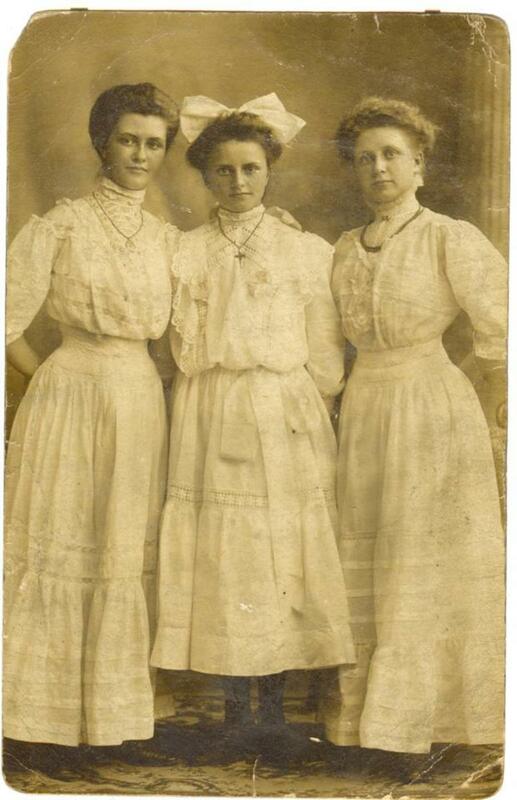 Old family photos can be preserved electronically by using a cloud service or storing on external drives. Scan in your most treasured family photos and load onto storage cards to put into a digital picture frame or onto flash drives. Keep backups on external storage drives or on a free cloud service like Google Photos. Disperse family photo albums to children and relatives who will appreciate them. If time permits, go through loose photos and throw out duplicates and any that are poor quality or of scenes, people and things that you no longer care about. Send treasured albums to a commercial service that will put the photos on CDs for you. Remove photos from frames and place in albums to conserve space. For the home handyman, downsizing the garage will be traumatic! But do take along the necessities for RV living. While this looks like a long list, many of these items are small and can be stored in a toolbox or in the bucket. Paring down garage items and tools can be a traumatic experience for the do-it-yourself mechanic or homeowner. As with other categories, it is best to start by selecting the items that you will need and can fit in your RV. Do take a set of basic tools that will be needed for simple repairs inside and outside of the RV. If you are able to do mechanical repairs on the RV yourself, then you will need a wider selection of tools. Don't forget to pack things like duck tape, an assortment of screws, bolts and nails, wire, flashlights and other emergency repair items. Be ruthless about getting rid of cans of paint, solvents, large power tools and all of the years of collected junk in the garage and basement. Now is the time to give your kids a set of tools and sell the lawnmower on Craig's List. You will not need leaf blowers, lawn mowers, rototillers or garden tools. Again, it is a personal decision on whether or not to rent storage space. 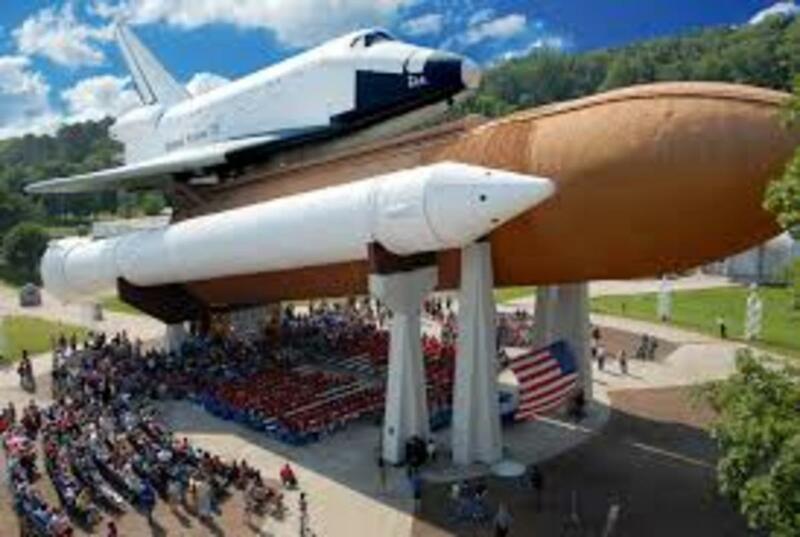 Just remember that the cost of space can add up to a lot of money over a few years. When you are done full-time RVing, will you want to return to the same kind of lifestyle in another sticks and bricks house? Take along a small outdoor grill, a few outdoor folding chairs, a small folding table and an outdoor mat for your outdoor living room. Don't forget to save some space for a small outdoor grill, a few outdoor folding chairs, a small folding table and an outdoor mat to set up your outdoor living space! A stepladder is extremely useful for accessing high places on the RV, making awning or roof repairs and miscellaneous other uses. 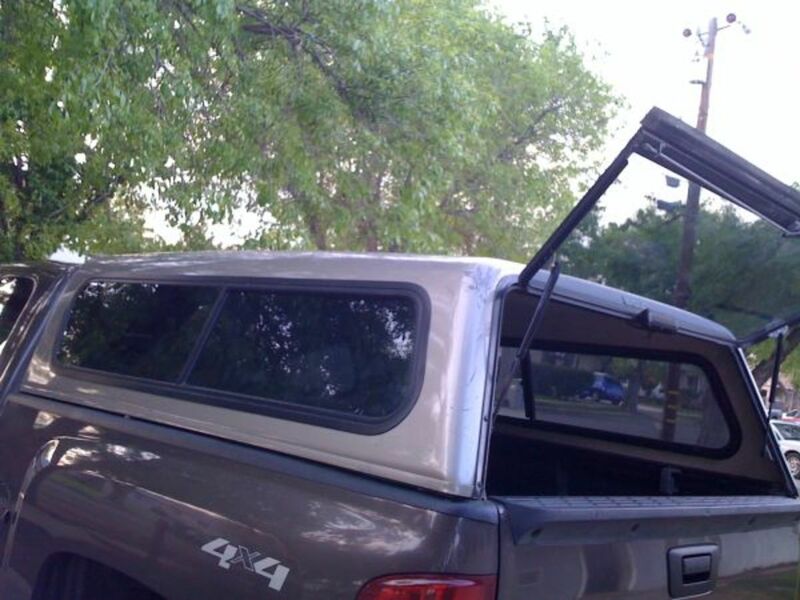 We carry a 7' ladder that is attached to the back of the RV on a special rack. Carry along a road atlas and some good campground directories (see my article on Best RVing and Camping Guides). Even if you have a GPS, you'll need paper maps! When you set your space priorities, do find a little room for your favorite hobby! If you have hobbies that you love, you may want to allocate space for some of them in your RV. Some hobbies are not easily packed into an RV, but it's amazing the inventive ways that people manage to take their hobbies on the road. Limit yourself to one or two hobbies, and take along some basic supplies for the ones you really love to do. Things like wood carving, crocheting, painting and drawing are easily portable. There are many people who are rockhounds, beaders and quilters who gather together in campgrounds to share their hobbies. When you set your space priorities, do find a little room for your favorite hobby! Have you ever considered downsizing to live full-time in an RV? Yes, I'm going for it! Yes, I've thought about it for my retirement years. I don't think I'd like living in a house on wheels. No, I like my stuff too much. Photograph it, then give it away. If you have some things that you love, take a photograph of it for a digital album before parting with it. You'll have a memory without having to store it! Give family heirlooms to family or special friends. Do consider giving your sentimental items to friends and family who will appreciate them. Be sure to include a little note with family heirlooms so that their history won't be lost. Be realistic and objective. When was the last time you wore those pointy toed sequined shoes? How often do you really use the giant Turkey platter or your aunt's white linen table cloth? How many of those 500 books have you even moved in the last 5 years? Consider cost and consequences of long-term storage. Unless you have a temperature and humidity controlled place to store furniture, think twice about storing it. Furniture can easily become mildewed and damaged by mice or insects if stored for a long time. Look forward to your new unencumbered lifestyle! Ready? Happy Trails to You! While the whole process of downsizing may seem overwhelming, it will come together as you organize a segment at a time. Expect to feel a mixture of relief, and maybe a bit of regret as you see your things pared down to what will fit into your RV. But I can tell you from experience, that there is a huge feeling of freedom and joy when you finally do hit the road. Do you have to pay capital gains taxes on your house if you sell and don't invest all of it in another house? I believe there are several ways you could be exempt from paying capital gains on a home sale, but I am not a tax expert. Please consult the IRS website or a tax expert for the latest regulations regarding home sales. It's always best to get this kind of advice from an expert! Do the rules for downsizing your home into an RV apply if you plan on buying a pull behind camper as a residence for an undetermined amount of time? How does one fit an awesome bed into that space? I am concerned with the bathroom facilities and our family Aussie. This was amazingly helpful! My small family is moving in to an RV soon, I appreciate the tips. Thank you so much! Hi John Pauly - It sounds like you have taken the first steps to becoming full time RV'ers, but I understand your hesitations. There is definitely more competition for campgrounds, especially in the east. We alos hesitated to part with all of our belongings, and ended up storing a lot of them to be used when we stopped full-timing. As it turned out, by the time we bought a house again, we were sorry we kept so much. You just have to do what feels right to you. Good luck in your adventures! Adding my thanks to all the plaudits you have received. My wife and I both retired in 2015 at 65. Shortly, we bought a second owner 37' motorhome, rented our house out to a relative, and spent about 3 months and 5000 miles traveling out West. It was an exciting adventure. We have traveled on several other shorter trips since then and occasionally toss around the idea of selling our home and full timing, at least for a few years. However, the thought of parting with all my hard earned and expensive comfort items makes me hesitate. Other factors include the increased community of 'gypsies' / migrant workers young and old competing for CGs, the proliferation of large commercial trucks over-crowding the roadways and rest stops, and the increasing costs of RV lodging. Therefore, my short term plan is to have a series of garage sales this spring to whittle down our greatest space-taker items. After which, we may place our house on the market, as well as our motorhome. Depending on which one sells first, we may travel again - as full-timers. Thank you for such a detailed, useful article. Hi Denise, The transition can be stressful as you have so many things to do and to consider, but I hope that you will enjoy being on the road full time. We have found that it's more difficult now than it was 14 years ago when we first did it. Because there are more RVs on the road, there is more competition for campsites -- you may have to do advance planning during busy seasons. However, the sense of freedom is wonderful. Hope you find that you love your new lifestyle. My husband and I are currently in the process of selling our home, its currently under contract, and getting rid of everything to take the 5th wheel on the road. It's been difficult and stressful I'm not going to lie, but hopefully worth it once we are free. My husband and I are seriously considering the nomad lifestyle. I am a teacher by trade but they didn't renew my contract for the next school year, so we are looking for online/remote work at this time so we can pay our current bills and debts off and make the change to RV Life. I had a yard sale yesterday and it was so nice to see stuff that I've been holding onto for years go to a new home. My husband is having a hard time of it, but he'll come around! I am a retired carpenter and a widower and two time cancer serviver. Always have been a camper.I would like to go full time in the western States ( Utah,New Mexico, Arizona & Nevada.But need regular cancer exams. If anyone can help me out good bless you. If I can do this I could help a lot of people out with my skills and experience.My pefured type of camping is Boone docking. Congratulations! Perhaps we'll meet on the road! Happy travels. My spouse and I are in the process of preparing our home for sale in March 2018. We have a 26' Class C in our driveway and we're packing as we go through everything.. This was very helpful as we'll be losing our residency in ME. Our daughter is in Chicago, and IL is an expensive state. SD may be a good choice. I'll be following you. Thanks for the info. We just did exactly what was in the article. We are now full time RVers! Very informative and helpful information. Thank you! Where in Talladega National Forest are you camping in your cover picture? 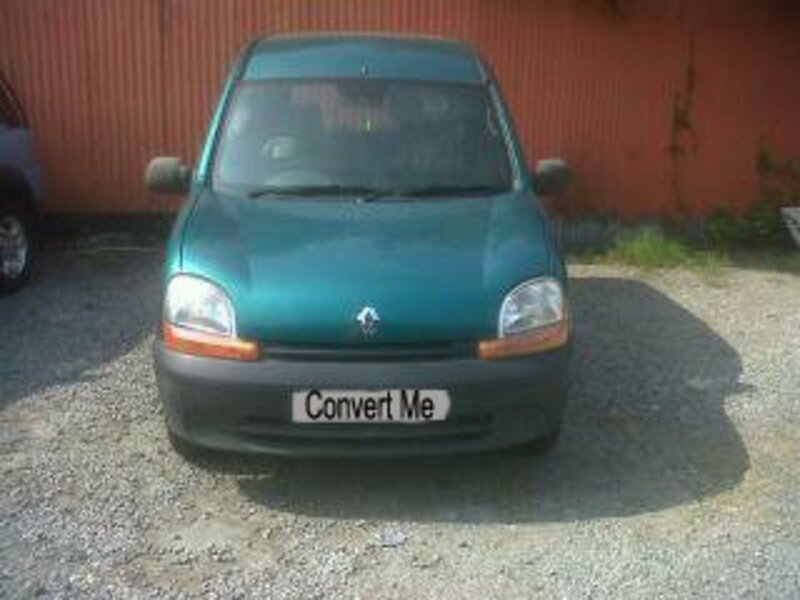 Abi R - It's definitely an emotional time when you part with your home and most of your "stuff". I hope that you find, as we did, that there is a great feeling of freedom as you move on down the road to pursue your dreams. Happy travels! Great article! I have saved it as we move toward full-timing in 12-16 months (12 if I get my way, 16 if hubby gets his lol). Thank you! Clare Johnson - Glad you enjoyed the article. You can print from your computer's "file" menu on most computers. I'm sure there are other ways to do it, too. I have a Mac, and like to go to print and save as a PDF to my computer. Happy travels! Love the article. Is there a way to print the article? We are in the position of selling our home and going to an RV. Please bring unwanted clothing not suitable for use (stains, holes, broken zippers, etc) to Goodwill. Just separate these items from any donated items and mention to the attendant the bag is intended for salvage. Those items will be recycled and will be kept out of the landfill. Thanks! Love your blog! We are just starting our full-time RV adventures today. At age 70 I've decided to vacate my one bedroom apartment and live in a 1967 coachman trailer I purchased for $100 and presently restoring from the fram up! It was under 6' of water during the 1000 year flood that hit Louisiana! It was already riddled with rotted wood! I hope to have it completed by the end of February 2017 when my lease is up! This is a great article because I didn't want to store anything I can't take with me! I lost a lot personal things, family pictures, antiques and furniture in that flood I had in 2 20X20 storage sheds! So this gives me a basic idea of what I need and what I can use! I plan to travel the US starting on the west of the Mississippi for a year and then east of the Mississippi for a year living off the grid and seeing kin people and possibly homesteading in Utah! It's quite a change for me being a divorce for 20 years and not dating for 7 years so it'll be me and my 17 year old cat Miss Kittie. I'm a cancer survivor and loaded with artificial joints! But ready to go! I'm following your lead and giving it a shot for a year! Thank you for the great advice I need all I can get! My husband, 16 yr. old and I are going full time RVing. We are so excited. Thank you for all your information. A friend told me that all the STUFF is hard to part with but once it is gone you forget about it and move on. She said it was freeing. Good luck. M Lynn Moore - Good luck with your new life style! Hope you are in a warm, sunny place and enjoying life on the road! I am looking forward to following up on your life on the road. Just started a 4-month trial run with my recently retired husband. You answer a lot of questions I didn't think to ask! Bonnie - Good luck on your new adventures! We have made the decision to go RVing full time. My husband has been retired for a few years and I'm ready now. We have started to sort things out, boy, this is going to be hard to down size but I'm wanting to do it and get on the road. We want to do this while we are still able to. Selling everything just seems scarry but exciting at the same time. Our daughter and granddaughters are excited for us too but hate for us to be so far away for so long. The kids could go with us in the summer so it's something for them to look forward to. It seems like we have only traveled to see relatives. It will be fun to see the country. Thank-you for your ideas about downsizing. John & Laura Willhoite - Good luck following your dream! It sounds like you have a solid plan for the future! Wow! This actually looks like a lot of fun! I probably wouldn't downsize to an RV, but RV life sounds fun -- to be able to be free and on the road! We sold our 4 bedroom 2 bath house and moved into a 30ft fifth wheel and in 2 years we will buy our 40 ft coach ( diesel ) and then 2 years after that we will retire and hit the road fulltime. Down sizing was hard but so much nicer now that we don't have all that clutter of stuff. Can't wait to hit the road. Cygnetbrown - Moving when you get the urge is one of the great advantages of living in an RV! Enjoy your new life style! I recently downsized to live in a travel trailer at the edge of a national forest. I am still working on the downsizing process, but I love the fact that now when I want to move, I get to take my house with me! This is something I've always dreamed of doing in the future. I love the idea of being able to travel around and keeping things more simplified, less is more kind of thing. Great article with lots of helpful advice on the transition. DWDavisRSL- It's never too early to start planning for retirement! Follow your dreams! I found your Hub at a very good time in our lives as my wife and I are starting to more seriously plan for retirement in 8 to 10 years. We both love RVing and are discussing the idea of becoming permanent RVers, at least for a while, after we retire. I plan to save your Hub and refer to it often. Lilleyth - It's a wonderful lifestyle. Many people who are not sure about it will give it a try for a year. That's what we did, but our year grew to be four years of full-timing and eight years of 3/4 time RV living. We're even thinking about going on the road full time again. Whatever you decide, wishing you much luck. Kimberleyclarke - Congratulations on your recent downsizing! It is so liberating to be free of unneeded and unwanted "stuff". 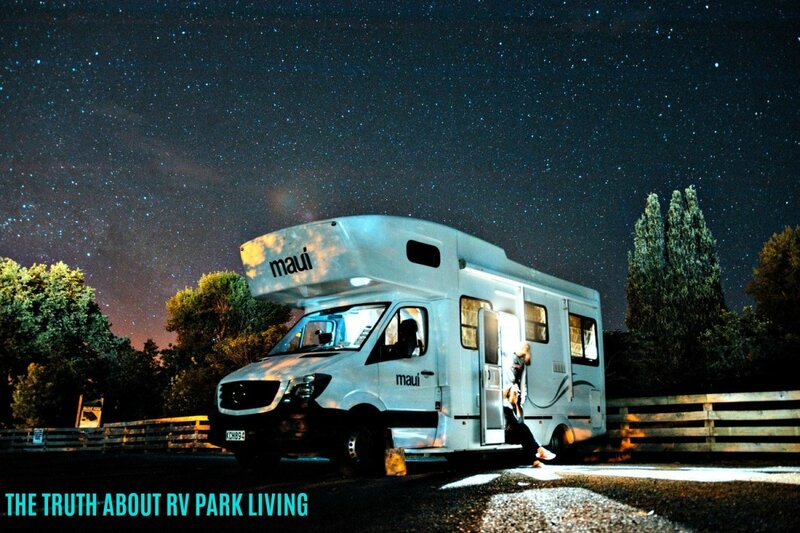 If you are serious about RVing, then keep a lookout for one that fits your needs, and good luck with your new life style! This idea appeals to me and my husband. We have talked about doing this and traveling the country. Great Hub. DzyMsLizzy - We do become accustomed to having all of our "stuff" near us, and I understand wanting it when you need it. However, if you are anything like me, you probably have a lot of things that you never use and, most likely, never will. I had boxes of fabric that was 20 years old...wool, no less...and me moving to a warm climate! Then there were all of the duplicates. Did I really need 2 dozen assorted mugs when I had a perfectly nice set of dishes with matching coffee mugs? or how about the 10 tubs of clothes in every size that were not only out of style, but that didn't even fit! It's amazing how much we can get rid of without even missing it. Thanks so much for your comments. It does sound like you might be more comfortable not downsizing too drastically...take it slowly and it won't be so traumatic. Very well done article, and more to the point, necessary, for reasons other than down sizing the family home. As I'm getting to "that age," where I realize I should probably get rid of a lot of crap so my kids won't be stuck doing it after I'm gone...as I had with my mother who passed very suddenly. Our house is medium sized, and about 1850 square feet, but we also have 2 garden sheds, a 1200 square foot workshop with ALL the tools..and my 800 square foot art studio. Into these spaces are crammed (and I MEAN CRAMMED) all of my stuff, and all of the stuff that came from my parents' house. While we got rid of mom and dad's furniture, there is all the rest--much of it heirlooms and antiques with which I am loathe to part. 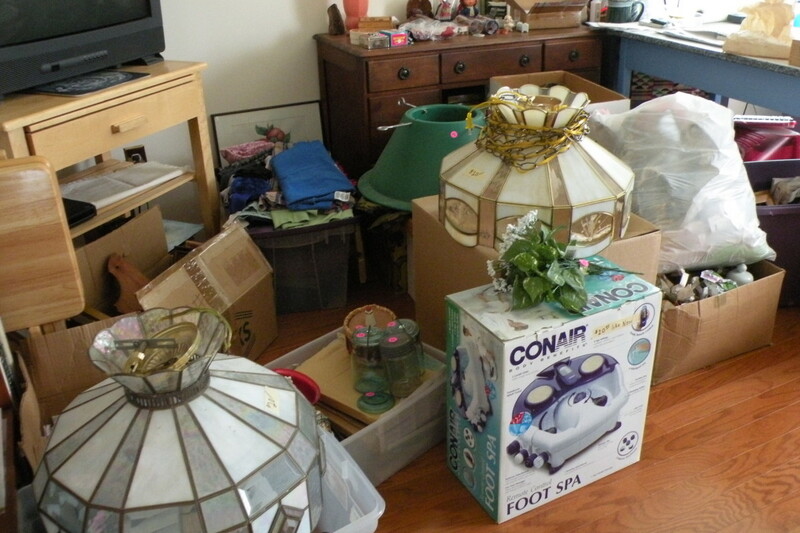 Now, you'd never know this walking through the house; the rooms are clear--not looking like a hoarder's den. But--I dare you to try and put one more item in any closet or in the shop attic! LOL It's all well and neatly packed in boxes, but the spaces are full! Hi Judy, We actually have bank accounts in more than one state, but it doesn't really matter where they are since we do all of our banking electronically. Our income is direct deposited, and we pay our bills through on-line bill paying. When we have an occasional need to deposit a check, I do it by mail, but now that you can scan in checks for electronic deposits on your smart phone, life is that much simpler. I haven't tried that, yet, but I will! What do you do about banking? Is it in one state? How about an address? Is all income direct deposit? Good advice and thanks for the Hub pages. Shona Nichols - I'm so glad my article on downsizing was helpful to you! I can certainly relate as we downsized drastically when we sold our house and began full-time RVing. Good luck and happy travels! Too bad your hubby resists travel! Michigan winters can be brutal! A month or two in Arizona or South Texas or Florida in the coldest months can do wonders for your outlook. Thanks for stopping by, Barbara Kay. I've always thought about this in the back of my mind. My husband is a real homebody though and I don't think he would go for it. I hate Michigan winters, so it sounds wonderful. Scott & Maria - I imagine that weather in Wyoming can be pretty harsh and that being free to escape to warmer climates will be wonderful! It's great that you have a business that is portable enough to take on the road with you. Downsizing can be hard, but it's really amazing how much stuff we can do without. Good luck in your adventures and Happy travels. Thank you so much for this hub. We are in the midst of paring down in out stick & brick, as we "patiently" wait for things to come together so we can get on the road. We will be hauling a trailer with us that will contain our custom leather business. I have decided that we will live with only what we would need / take in the MH. The transition should be much easier, with sq ft being our only change. Your suggestions have me thinking on a much deeper level. Open road is what we crave and warmer weather will be heaven. Wyoming has taken it's toll on us after nearly 50 years. This article is so helpful! Thank you! PNWtravels - Sometimes we come up against some difficult decisions when downsizing to an RV, but it's a wonderful feeling to be free of an over abundance of material things that weigh us down. Hope you are loving your new life-style! Congratulations on making the move! Last summer we sold our house and are currently full-time RVers. It's not easy, but these are some great tips for helping people to make that transition. I have been reducing the number of things I have in my house, just to give myself the flexibility if I ever decide to move and to make things easier to clean. I do hope that I would be able to downsize as dramatically as you have in order to live in an RV. You've laid out some really good tips, and even though I'm not moving to an RV, I will be able to use them to downsize even further! liamhubpages - I hope that you are able to follow your dream--it's a wonderful trip! One of my biggest wishes is to drive an RV across Australia or North America, just to relax and get in all the sights. Perspycacious - Thank you for your kind comments! Wishing you a Happy Thanksgiving, too! You put your heart and soul, not to mention experience, into this one. Fine Hub. Happy Thanksgiving to you and yours. Penny G - I'm glad you are finding my articles on RVing useful. Thanks for reading and commenting! I think it will, thanks and will be reading your work. Penny G - You sure sound like an organized lady! :) I'm sure things will go well. Best wishes on your new lifestyle! June 17th, 2017 we are out of here! We have started downsizing, we gave some stuff away to neighborhood center, some has or will go to the kids, and we are selling lots of things at the flea markets. I have list galore I check and re-check to make sure I'm on target. Your Hubs are great and helpful, thank your so much for your help. Lisa - It sounds as if you have a solid plan for downsizing. Slowly, but surely, you'll get it done and be on your way to your new life. We did store a lot of our stuff, and, the cost of storage adds up. In retrospect, if we had realized that our things would be in storage for 4 years, we would have done it differently. Wishing you much luck in your endeavors! I am in the process of downsizing. With definite goals for each step of the process that is forcing me on a steady drive toward freedom. I rented a little space in a store to sell items I could make a few bucks from (300-1000 monthly) but will need to store some items, for now many items due to lack of time to sell. Considering the cost of storage; 10x10 ($100+ mo) for one year =$1200 a year UGH! So I purchased a 28' Strick pup trailer (usually hooked up to a semi) and parked it at my rental property (my old primary residence, where all the stuff came from) built a deck at 4.5' high to double the space and filled it with boxes on the bottom and furniture on the top. Totaling over 425 square feet for $1500. paid in full. I'll empty it by selling the stuff at the store and giving to my children when they purchase homes and are ready to take it. I figure about two years to get rid of it all. absolutely love this post... Tools is a tuff one for this DIYer. I plan to be the once a year for a month gardener of the rentals so I may reserve a section of the barn for mowers, tillers, chain saw, big and extra tools.. Anxious to start the new and free life. Shasta - so glad this article is helpful to you as you downsize! Good luck! Thank you so much!! I will be printing this out and reviewing it as we downsize!! This is going to be an amazing journey! Seanorjohn - Full Time RVing is a wonderful was to live, and it's been a terrific way to spend some of our retirement years! It's amazing how much of our "stuff" we could quite happily live without! Bendude3412 - It's a big change and a new phase of your life. A bit of apprehension is normal. You'll do fine! If you haven't already done so, check out the discussion board at Escapees.com. There are many beginner full-timers there and lots of old timers to give you advice and moral support. Thanks, I have put so stuff in storage and for later and some to hold for sale on Craigslist. I am looking forward to going yet somewhat apprehensive. Bendude3412 - I think that downsizing worked for us as a couple because the decision making was shared. Sometimes we needed the other person to nudge us to get rid of something! :) I know it's a difficult process, and you may want to put some of your things in storage so that you can postpone the decision of whether to keep them or toss them. There are so many beautiful and interesting places to see -- have a wonderful time, and good luck in your travels! I am a single man in the process of downsizing from a house to a RV. It is hard enough to downsize just me. I don't know how couples do it. I need to digest this posting. Thanks for the info. I have been to Goodwill so many times the recognize me now. I have a garage/estate sale soon. I do have a month long trip planned to the east coast. If that works out I will know I am ready for full time. Is it possible to maintain ownership of our vacation cabin in one state (NJ) but become residents of S.D. ? Hi there! Someone in my Facebook group shared this website with us so I came to take a look. I'm definitely enjoying the information. I'm bookmarking and will be tweeting this to my followers! Excellent blog and wonderful design. DonnaCSmith - I know what you mean about stuff multiplying! I have an especially difficult time keeping my arts and crafts supplies under control! I think it's easier to keep from collecting things when you are actually living in the RV and don't have a house to store things in. Our rule was, "If you don't have a place to put it, you can't buy it!" Many RVer's also live by the rule that if you bring something new in, then you must get rid of something you already own. We satisfy ourselves with taking pictures that we can enjoy any time rather than buying more things. One other thought about this, though. When you do finally finish the decluttering and find yourself enjoying the cleared space, you may find, like we did, that you just don't want to start collecting all over again! Thanks for your comments here! Your advice will also be good for someone moving into a retirement home, or as you said a smaller space for whatever reason. I keep trying to de-clutter so if I die my kids don't have so much junk to go through, but it seems to keep multiplying. How do you keep from collecting stuff on your travels? LaurieNunley517 - It's definitely a lot of work to downsize a home you've lived in for many years into an RV, but, in our case, it was so worth the effort. Good luck on following your dreams! RVing is something we want to do when we retire too. It looks like a lot of work...breaking housekeeping. You have really good ideas about how to do this. Thanks so much for the great hub! Would work for downsizing for living aboard a sailboat as well! We plan on taking off before 1/14. Thanks for the tips! Old Albion - Downsizing and getting rid of many possessions is very difficult for some people. It could be that they just aren't meant for full time RVing, and they might be happier keeping their large houses and RVing for shorter trips. Personally, my husband and I felt a huge weight lifted as we downsized our house full of stuff. It's amazing how much less we can live with and still be very happy and comfortable. Hi Stephanie. What a great hub. You really told it how it is. I'm sure you have put many dreamers off when they realised the downsizing and loss of 'stuff' they would lose. Well done indeed. Twig22bend - Downsizing from a house to an RV is a little scary because there are so many decisions to make on what to keep and what to get rid of or store, but once it's done, it's a great feeling of freedom. I would love to go exploring in an RV, for awhile. Actually living in one forever is another story. The downsizing is the scary part. 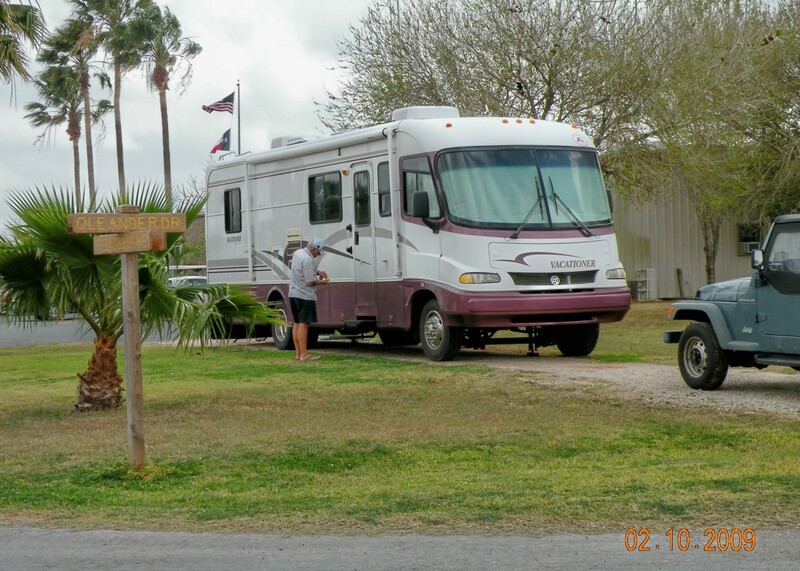 IslandBites - So glad you enjoyed my hub on Downsizing your home to an RV! Thanks for stopping by! Ketage - Good luck with following your dreams, and thanks for stopping in to read my article. Vellur - I can certainly understand being torn between getting rid of your things and keeping them! I think we all become attached to some of our material things, and it's an adjustment to give them away. Once we made that adjustment, however, we found our lives to be simpler and happier. Thanks for stopping in to comment! ExoticHippieQueen - I'm so glad that you found this article helpful! Downsizing to an RV is a big job, but it's do-able when you take it a step at a time. Thanks for stopping in to read and comment! Good luck with your RVing dreams! Its either the RV lifestyle or a small cottage somewhere far away from the city. RVing sounds like great fun. Great tips on down sizing, it is the most difficult thing to do. For one second I feel I do not need an item and to give it away, the very next second I am not sure!! Great hub, voted up. Thank you for doing all of the thinking and work for me! I dream of RV-ing all the time. I love the idea of such freedom, lack of responsibility and obligations. 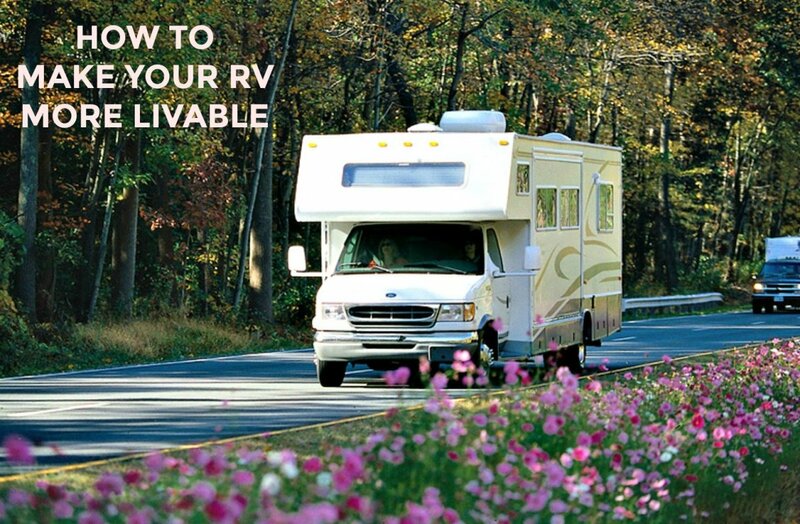 You have written the most thorough and complete list of do's and don'ts ever for RV-er's. I have to save this one! My hubby and I often joke about living in an RV. How convenient and cozy it would be to travel anytime. I know people who do live in an RV and they enjoy the simpler lifestyle. Your tips for decluttering would help any household to organize. Happy Trails to you! Voted up. Merccuryservices - I believe that by simplifying our lives, we free ourselves to appreciate the more important things in life. Thanks for stopping by to read and comment! Great advice! Thanks for breaking it down for people, putting it in a real perspective. Everyone could benefit from a little more minimalism in their lives, whether RVing or not! Khairat1 - Glad you enjoyed it. Thanks for stopping by to read and comment. 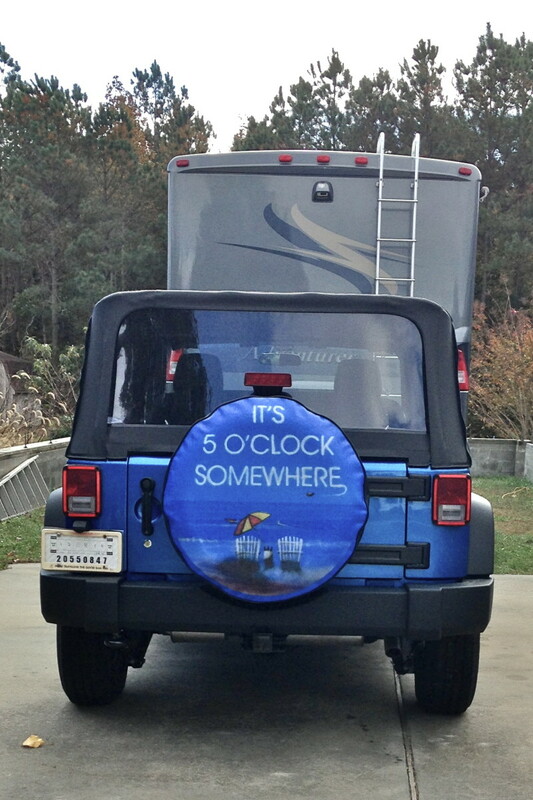 Cindy K - Congratulations on your decision to go full-time RVing! Workkamping is a great way to support your lifestyle if you are content to stay in one place for several months (or more) at a time. While we did do some volunteer work at National Parks, we tried to limit our commitments to less than 3 months as we liked to move around more often. As far as budget goes, it really depends on your lifestyle as there are so many variables. Gas will be your biggest expense if you move around a lot. 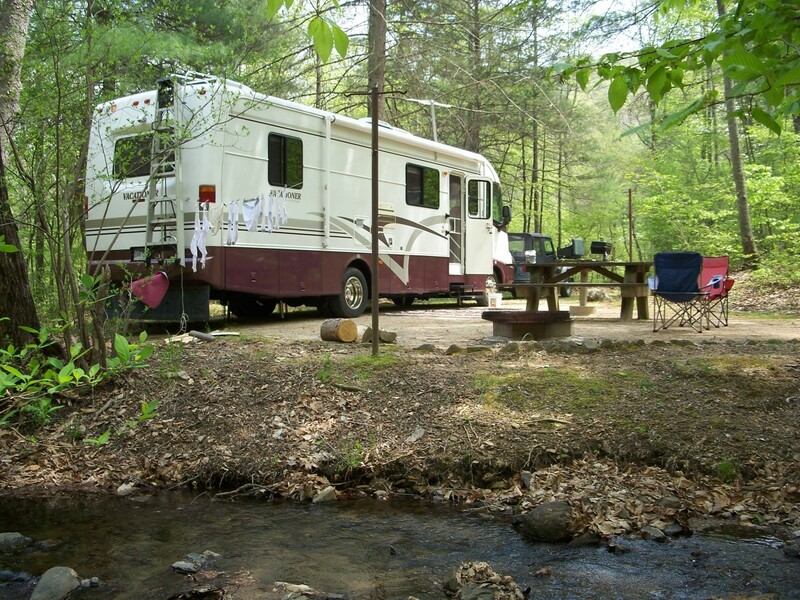 Campground fees can range from free to more than $50 a night - depends on your camping style. Food, entertainment, hobbies, cell phone, insurance, propane, medical all need to be considered. Don't forget to set aside a budget for maintenance and repairs to your RV and tow vehicle. You will find some helpful information on keeping expenses low in some of my other Full-time RVing articles. Good luck on your new adventure!